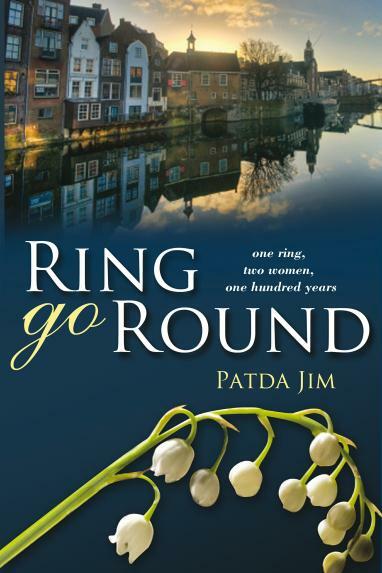 BRADENTON, Florida – Warren Publishing Group announces the release of RingGoRound by Patda Jim. RingGoRound (ISBN: 978-1-4276-3611-9, 380 pages, Trade Paper, $14.95) is now available wherever fine books are sold. RingGoRound is also available in an eBook edition. An epic novel of romantic suspense, RingGoRound is the story of two strong and compassionate women, living one hundred years apart yet bound together. Holland, 1894: Marlene van der Mehr lives in a male-dominated society of arranged marriages, unspeakable cruelty and limited options for women. Suffering at the hands of her cruel and abusive husband, Marlene is rarely granted reprieve from the watchful eye of her mother-in-law or husband. But Marlene defies all odds to save herself—and her children— by finding true love and leading a business empire. Brussels, Belgium, 1999: Marieke Whitteker, a modern-day business woman from the States, travels to Belgium on a trip that seems almost guided by fate. In a chance visit to a jewelry store, Marieke is drawn to a beautiful antique ring that seems destined to be hers. But Marieke is equally drawn to Clemens, the store’s proprietor. A self-sufficient, independent modern woman, Marieke moves halfway around the world to pursue her own chance at love amidst a dark family legacy. But twists and turns abound, as the past and present come together in a most unusual way. Had the chance encounter really been a coincidence, and why is Marieke suddenly experiencing voices and visions from the past? An incredible tale of two women, two lives, and one exquisite antique ring that brings them together, RingGoRound is a sweeping and sensational story about destiny, discovery and love. Beautifully told and resplendent with romance, mystery, and intrigue, RingGoRound seamlessly blends the stories of these two remarkable women who lived a century apart but are nonetheless tied together. A skillful and imaginative storyteller, novelist Patda Jim weaves together an extraordinary and timeless tale in RingGoRound. Destined to keep readers enthralled until the final page, RingGoRound charms with its spellbinding narrative, irresistible plot and suspenseful storyline.